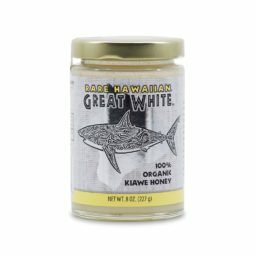 Our Lemon Infused Organic, White Kiawe Honey will redefine your mouth’s interpretation of “lemon” and “honey”! The delicate nature of Kiawe Honey compliments the liquid sunshine of the lemons, creating a tart and creamy confection of perfection. You will be able to find many ways to use our Lemon Infused Kiawe Honey….but perhaps none will beat the simplicity of a spoon.